Canzone del fischio: "So lo Spirito che nega"
"Vanne! la tua meta già vedo" - "Credo in un Dio cru- del"
"Schweig, schweig, damit dich niemand warnt"
. . . this anthology of great bad-guy roles . . . is custom-built to showcase his dark, brooding qualities . . . It culminates in Terfel's bravura performance of an excerpt from Don Giovanni in which he plays Il Commendatore, Leporello and Don Giovanni. Terfel offers his customary high level of engagement with both words and notes throughout. The baddies always are more fun; in opera and musical theatre they are that much larger than life, too. Small wonder they prove (on the whole) such a perfect fit for the World's most famous bass-baritone. So enter Satan himself -- aka Boito's Mefistofele -- to call the tune and literally whistle his contempt at all things good in nature . . . Paul Daniel and the Swedish Radio Symphony Orchestra and Chorus back up his odious insinuations with a resounding "Te Deum". Vocally, orchestrally and as a piece of engineering, it sounds mighty fine. Terfel, of course, brings the smell of the theatre into everything he does. His powerful vocal presence is born of physical presence and he harnesses words, in any language, like few others. . . . The climax of the disc is the demise of Don Giovanny with Terfel offering an unholy trinity of all three characters.
. . . what other artist could find such different voices for singing Il Commendatore, Don Giovanni and Leporello in the closing scene of Mozart's opera . . . magnificent. Welsh bass-baritone Terfel injects a winning mixture of charisma and technique in this collection of arias and songs for villains. There isn¿t a dull moment . . . Terfel¿s the star. These operatic villains are given the royal treatment by the powerful Terfel, and one longs for complete recordings of these operas . . . There really is no one like Bryn Terfel -- with his larger than life personality, extraordinary charisma, and dazzling array of vocal gifts. He has a kaleidoscopic color palette and a range from deepest darkness to a head voice that is particularly ravishing when he sings softly. And he has tremendous vocal power wielded with minute control of dynamics, taking him from a full throated forte straight down to the merest whisper. He also has a lieder singer¿s sensitivity to text -- for phrasing, diction (here in four languages) and the creation of mood by the coloring of words. It¿s no surprise that he¿s a master recitalist. In this his first opera CD in eight years, Terfel brings to life a parade of incorrigibles from the worlds of opera and musical theater -- from the outright diabolical, to the deranged, the depraved, the defiant, and the delightfully deceitful . . . His portrayals are as redolent of atmosphere (Sporting Life from Porgy and Bess and Mackie Messer from Die Dreigroschenoper for example) as they are of psychological depth . . . To everything he sings, Terfel brings his impeccable musicianship but also conviction and attention . . . His portraits of characters from the musical theater repertoire are as finely etched as those of his classical offerings. He loves it all, respects it all -- and it shows . . . On this recital disc, Terfel has superb collaborators in the Swedish Radio Choir and Symphony Orchestra conducted masterfully by Paul Daniel. All are equally at home and in command of the many incarnations and permutations of evil on offer here. Whether it¿s our -- and Terfel¿s -- first experience with his assumption of a character (in the Boito, Weber, Ponchielli, and Weill excerpts, for example) or his appearance in a role he has made his own (such as Don Giovanni, Dulcamara, or Gounod¿s Méphistophélès), listening to this disc inevitably elicits a smile of pleasure. He¿s just so delightfully bad. Terfel is peerlessly thrilling . . .
Welsh bass-baritone singer Bryn Terfel is the bad boy superstar of the opera world. His new record, Bad Boys, pulls together some of the best evil roles in opera and musical theater . . .
. . . Terfel leads off his recital with a high-octane reading, nicely paced by Paul Daniel and the superb Swedish Radio Symphony Orchestra, that works up from sneering and growling into a wide open roar; this is . . . a gargantuan and volatile spirit you don't want to mess with. Terfel keeps the thrill level up in selections with little or no orchestral introduction, and he has the stamina to sustain -- and even build on -- the high intensity he started with . . . his Scarpia is a well-honed and consummate portrayal . . . this recorded version needs no sado-props to confirm the terrifying brutality of Rome's corrupt police chief: each time Terfel sings "Va, Tosca" he lets her name slither around his mouth with nauseating lustfulness . . . this artist's instinct for detail and vocal color warrant repeated listenings. Words and text really seem to be one of Terfel's hooks in characterization, and he moves easily from the dead Sir Roderick's posh accent in "When the night wind howls" . . . to the Catfish Row vowels of the drug-dealing Sportin' Life in his highly personal take on Bible stories, "It ain't necessarily so" (from Porgy and Bess). Terfel's enjoyment . . . is infectious. The bass-baritone's Italian diction is no less fine, and he makes easy work of Basilio's "La calunnia" (from Rossini's Barbiere di Siviglia), in which Daniel once again draws great sonic variety from the orchestra . . . Terfel's larger-than-life portrayal in "Udite, o rustici" (from Donizetti's L'Elisir d'Amore) shows what glee he's had playing this quack onstage . . . Terfel's bold, emotionally shattering reading of the "Epiphany" (with Anne Sofie von Otter's neat cockney accent painting Mrs. Lovett's few lines) is one of the disc's high points. Once again, Terfel starts big (shouting "I had him!") and allows the barber's kaleidoscopic thoughts to lead him through a stupendous vocal workout as he turns himself into a vengeful, demonic murderer . . . The last track, the final trio from Don Giovanni, finds Terfel (as the Commendatore) condemning himself (as Don Giovanni) to death while (as the servant Leporello) he looks on. It's big and impressive -- Terfel really does use three contrasting voices -- but it also communicates this artist's immense musical gifts, vocal prowess and charismatic artistry.
. . . he makes a go of it with expressive diction, dramatic intelligence, and an endless supply of vocal colors, plus, as needed, snarls, growls, and infernal whistles . . . The music is good sulfurous fun. Bryn Terfel, the Welsh bass-baritone, has created a gallery of villainy that is remarkable for many things, but perhaps most of all this: He sounds bad . . . he makes a go of it with expressive diction, dramatic intelligence, and an endless supply of vocal colors, plus, as needed, snarls, growls, and infernal whistles . . . The music is good sulfurous fun. Every Bryn Terfel recording merits attention. His use of words and vocal coloring in arias, Welsh songs, and pop items is a delight. Terfel is a singer who loves singing . . . Tosca's 'Te Deum' is a highlight of this recording . . . He is full of malevolent glee, pretty much like a Vincent Price villain . . . Terfel's word pointing and confident vocalism are attention-grabbing. . . . his take on the Bible Terfel style is very amusing. All the Italian arias are superb . . . His 'Credo' sug-gests a man who truly enjoys being evil. Of the crossover items, I especially like his take on Sweeney Todd. Anne Sofie von Otter's Cockney accent as Mrs Lovett can be briefly heard. The Swedish forces and Maestro Daniel complement Mr Terfel ideally . . . Buy? Enjoy!
. . . this is a heck of a disc. Terfel tears into these warhorses with his usual all-out élan, and . . . his rendition of "Udite, udite, o Rustici" is a highlight, absolutely hysterical and unique. The menace he spews in the arias from Freischütz, Otello, La Gioconda, and Fidelio will make your hair stand on end . . . I cannot end this review without some unreserved gushing over the conducting of Paul Daniel and the playing and singing of the Swedish Radio Orchestra and Chorus. They tear into each and every piece with so much brio that there were times I'd have sworn I was listening to live performances instead of studio recordings . . . Between Terfel's interpretations and the direct-current conducting of Daniel, this disc keeps you riveted from first to last. Indeed, I commend this disc to any prospective opera-recital accompanist as a blueprint on how to do it right. Verständlich, dass Bryn Terfel sowohl durch stimmliche Mittel wie die Art seiner Darstellung, sein Aussehen, seine phänomenale Bühnenpräsenz schon viele Jahre in den Schurkenrollen der Oper ungeheuren Eindruck hinterlässt . . . Man bewunderte die Vielzahl seiner Ausdrucksmittel, mündend in einen schmerzhaft gellenden Pfiff . . . die Arie des Kaspar aus Webers "Der Freischütz" . . . mit gut ansprechendem tiefen Register [gelang gut]. 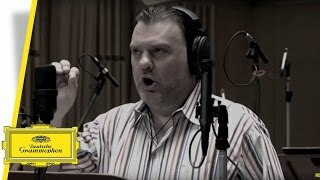 Eine Paraderolle des Bryn Terfel ist der Scarpia in "Tosca" von Puccini, weshalb seine Darlegung des "Te Deum" besonders überzeugend, gepaart mit souveräner Bühnenpräsenz herüberkam . . . Bryn Terfel wurde am Schluss des Konzerts frenetisch gefeiert . . .
Wie immer besticht Bryn Terfel nicht nur mit seiner klangschönen Stimme, mit ihrem warmen Timbre und der enormen Klangkraft. Der Waliser vermag auch mit grandioser Variabilität, Witz und Charme jedem der eher unangenehmen Bühnenzeitgenossen seinen ganz eigenen Charakter zu verleihen. Nicht nur für Fans von Terfel ein großes Vergnügen.
. . . der walisische Bariton verfügt über eine umwerfende Bühnenpräsenz und verkörpert jede Rolle mit Haut und Haaren . . . [Gounod Faust]: Terfel macht ihn zum kernigen Verführer . . . Und wenn der Sänger die Vokale, zum Beispiel beim "i", giftig in die Länge zieht, wird es einem schön gruselig. Es muss Terfel diebischen Spaß gemacht haben, diese CD aufzunehmen, das ist in fast jeder Nummer zu spüren . . . Terfel ist ein Meister der Farben und der Textgestaltung, das demonstriert er auf der CD gleich in mehreren Sprachen. Und sein Deutsch klingt beeindruckend, auch bei Beethoven und in Webers "Freischütz". Der walisische Bariton gestaltet mit der Sorgfalt und dem Nuancenreichtum eines Liedsängers und verfügt gleichzeitig über das mächtige stimmliche Potenzial eines gestandenen Opernrecken mit heldischem Potenzial. Eine beeindruckende Mischung . . . Das Schwedische Rundfunkorchester und der Radiochor lassen sich von Terfels Spiellaune anstecken und steuern ihren Anteil zum Farbeichtum bei, wie im eisig klirrenden Klang bei Rossinis Don Basilio zu hören . . . Als Krönung singt der Bariton am Ende in einem Terzett aus "Don Giovanni" drei Rollen gleichzeitig und befördert den Titelhelden wirkungsvoll in die Hölle. Es müsste schon mit dem Teufel zugehen, wenn diese Aufnahme nicht viele Fans fände. Dulcamara, der Quacksalber aus Donizettis "Elisir d¿amore", hat Witz, wenn er seine Liebestrank-Kundschaft hinters Licht führt. Mindestens so delikat gelingt dem Sänger Sir Roderics "When the night wind howls" aus Arthur Sullivans Operette "Ruddigore". Und als Mackie Messer stürzt sich Terfel mit Sprachlust auf Brechts herrlich knarzig-sarkastische Verse. Bryn ist eben doch ein "good boy", das hört man einfach. Mit dem Monolog des Mefistofele und dem Mackie-Messer-Song zeigt er, was der legendäre Plattenproduzent Walter Legge dem Bariton Tito Gobbi bescheinigte: »the acting voice« . . . In der Finalszene von »Don Giovanni« singt er alle drei Basspartien -- und zwar so, dass jede Figur ihr eigenes, unverkennbares Gesicht bekommt. Respekt! Mit tiefschwarzer Dämonie gestaltet Bryn Terfel dieses Scheusal in »Tre sbirri, una carrozza«; es ist die wohl eindrucksvollste Nummer auf seiner neuen CD . . . »Sono lo spirito che nega« aus Arrigo Boltos »Mefistofele« wird bei Terfel zu einem Kabinettstück grimmigsten Humors und abgründigen Scherzens . . . Jago in Giuseppe Verdis »Otello« ist ein enger Verwandter des Teufels: Sein abgrundtief böses, nihilistisches »Credo in un Dio crudel« erfährt eine Interpretation von bezwingender Dämonie . . . in Mozarts »Don Giovanni« . . . lässt es sich Terfel nicht nehmen, gleich beide Rollen zu singen -- und den rächenden Commendatore auch noch. Bewundernswert, wie er diese drei grundverschiedenen Charaktere gestaltet. Mit den beiden Musicals . . . zeigt Terfel, dass ihm auch die leichte Muse liegt. Keiner lacht mit rein stimmlichen Mitteln so dreckig, keiner verführt deliziös, keiner verbreitet so viel Schrecken und tänzelt dabei so gekonnt auf dem Vokalseil zwischen den Genres wie der Bariton Bryn Terfel. [Das] Radiosymphonieorchester amüsiert sich unter dem Dirigenten Paul Daniel vortrefflich über den rasanten Kostümwechsel: Terfel schlüpft innerhalb von 15 Tracks in 17 Rollen, einmal in drei verschiedene gleichzeitig! Die Höllenfahrt aus Mozarts "Don Giovanni" nutzt der Walliser zur Demonstration seiner stupenden Wandlungsfähigkeit, wenn er neben dem Bösen auch den Guten singt -- und den Mann dazwischen: also Don Giovanni, den Komtur und ganz nebenbei noch Leporello . . . für Kurzweil [ist] gesorgt. Das hohe Interpretenniveau erstreckt sich auf Dämonisches und Zynisches, Hinterhältiges und Durchtriebenes. Bryn Terfel bleibt, was er schon immer war: ein stimmgewaltiger Charakterdarsteller erster Güte. Keiner lacht mit rein stimmlichen Mitteln so dreckig, keiner verführt so deliziös, keiner verbreitet so viel Schrecken und tänzelt dabei so gekonnt auf dem Vokalseil zwischen den Genres wie der Bariton Bryn Terfel . . . Eine Galerie herrlicher Fieslinge, blendend instrumental ausgemalt von Paul Daniel und dem Swedish Radio Symphony Orchestra. Am besten gelingen dem walisischen Bariton die in seiner Stimmlage angesiedelten Titel mit der Lust an irgendetwas, sei es erzwungene Liebe oder Rache, denn das ausgesprochen süffige Timbre strotzt nur so vor Sinnlichkeit, so dass der Schluss des 1. Akts aus "Tosca" atemberaubend gut anzuhören ist. Die sichere, farbige Höhe tut ein Übriges, diese Partie zu seiner ganz besonderen zu machen. Das Tempo, in dem Pizarro seine Arie singt, bereitet dem Sänger keinerlei Schwierigkeiten, und wo andere Sänger mit der puren Bewältigung kämpfen, gestaltet er lustvoll. Auch den Triumph des Kaspar, in perfektem Deutsch gesungen, kostet er mit perfekter Koloratur aus. Die beiden Oberschurken der italienischen Oper, Jago und Barnaba, werden in großen Bögen, mit zwischen Fahlheit und kraftvollem, Schrecken erregendem Zubiss und wechselnden Farben gesungen. Die rezitativisch angelegte Darbietung des Barnaba erhält dadurch eine ungewöhnliche Spannung . . . Es fehlen nicht die Belcanto-Buffi, so ein Dulcamara mit leichter Emission und flexibler Tongebung und ein Basilio mit einer enormen Spannbreite zwischen dem venticello und dem colpo di cannone. Vollmundiger als Terfel dürfte der Sportin' Life nie gesungen sein, dazu mit perfekter Anpassung der Stimme an das jeweilige Bibelzitat. Im Mackie-Messer-Song trifft der Bariton den Weill-Sound, ohne den Opernsänger zu verleugnen, und Musical-Nummern werden geradezu geadelt durch diese wunderbare Stimme . . . Natürlich liegt ihm der Don besonders gut in der Stimme, erstaunlich gut auch der Commendatore. Ein herrlicher, vielseitiger Sänger gibt eine bedeutende Visitenkarte ab. Unterstützt wird er dabei aufs Beste von dem Swedish Radio Symphony Orchestra unter Paul Daniel.
. . . das Hörvergnügen ist garantiert . . .
Terfel, Inbegriff des freundlichen Menschen, als Jago und Pizarro -- grandioser Charakterdarsteller, der er ist, gelingt ihm diese Parforcetour der finsteren Töne exzellent. Le génie et les talents de Bryn Terfel ne connaissent pas de limites. Cet album thématique dont le noir terrible façon "bad boy" nous le démontre sans réserve; Bryn Terfel est bien l'une des basses chantantes les plus convaincantes de l'heure. Bryn Terfel a la voix d'une noirceur enchanteresse. Le programme nous le démontre sans tapage ni minauderie: haineux et frustré Scarpia (dont le désir pour Tosca l'amène à blasphème à l'église), sournois, cynique et manipulateur Iago; espion et délateur de l'ombre en Barnaba, vénitien jusqu'au bouts des ongles; ou satanique Mefistofele . . . [la basse écossaise] sait colorer et nuancer chaque couleur du vice, chaque soupir de la perversité la plus ignoble. Même son Kaspar qui a juré sa foi à Samiel pour mieux piéger l'âme du chasseur Max, redouble de sombre éloquence. L'orientation machiavélique du programme tient de l'acrobatie magicienne, si l'on pense que son dernier récital qui nous avait de la même façon convaincu, était ouvragé dans le raffinement et le sentiment, ceux de Mozart, si juste et si profond (Bryn Terfel, Tutto Mozart! 1 cd également publié par Deutsche Grammophon, en 2006). Sans faiblir, articulation souveraine à la clé, tempérament dramatique mais toujours subtile projection du texte . . . le chanteur sait diversifier toutes les facettes de la roublardise . . . Terfel se fait admirable prestigiditateur à la saveur bouffonne de grande classe. De l'Italien à l'allemand, germaniste de tempérament et vériste ciselé, l'interprète passe à l'anglais pour une série de standards de Broadway . . . volubilité linguistique qui affirme encore la généreuse articulation, cette musicalité si phrasée du seigneur chantant . . .
Bad Boys aligne diables, brigands et traîtres d'opéra, empruntés à Verdi, Puccini, Mozart, mais aussi à Kurt Weill et à la comédie musicale. C'est un défilé de trognes campées en quelques minutes où l'on admire l'aisance du baryton gallois à passer d'un style à l'autre.